This Christmas season, let’s inspire our friends to rise up to the challenge of making the world a holier place. 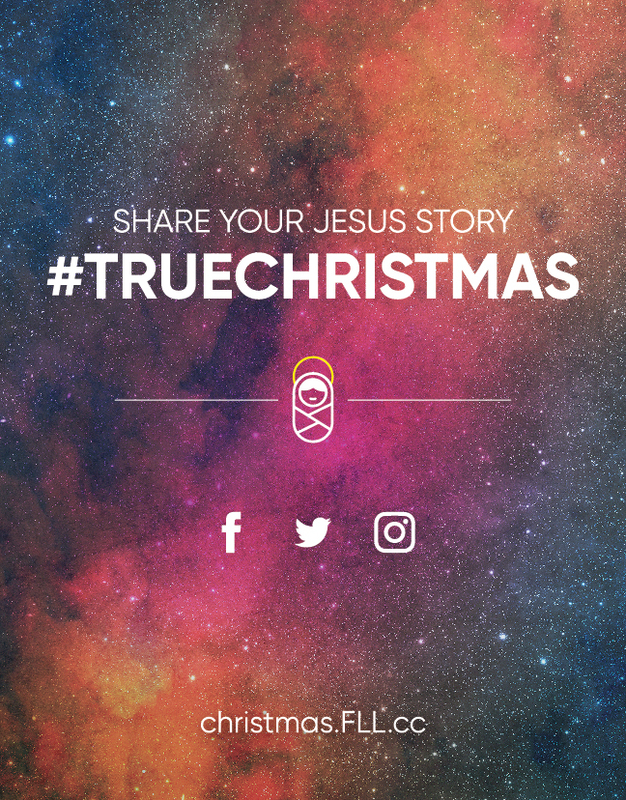 The #TrueChristmas project highlights Christian ways of celebrating Jesus’ birth, so that the whole world will feel the true spirit of Christmas. Catholics and Christians uphold the Christmas season with a certain degree of reverence. We understand the holiday to be one of the holiest times of the year. This reverence drives the things that we do; from being charitable to being present at church, or to simply make a point of saying “Merry Christmas” instead of “Season’s Greetings”. We do this because we are celebrating the profound truth of God becoming Man. “God became one of us so that we may become sharers in His Divine nature”. Through the life of the Church and the Sacraments, most especially the Eucharist, we respond to this season with profound awe and gratefulness. So our focus is on God rather than ourselves. Beneath the greetings, good works and neighborly love, are roots of joy, humility and thankfulness to the One who has come so humbly and peacefully for our salvation. However, it is easy to see how the secular culture has trivialized the meaning of Christmas. Instead of celebrating God, the Christmas holidays have become a celebration of ourselves. Acts of kindness, such as exchanging gifts or even going to church, are sentimentalized. The things that we do for each other are done for the joy of simply being together, rather than being together because we are united as brothers and sisters in Christ, Who has come in peace for our eternal salvation. We have come to a point where Christian beliefs seem increasingly out-of-step with the rest of society. We’re at a point where we have to make a choice; do I really believe what I believe, and if so, am I going to practice what I believe? 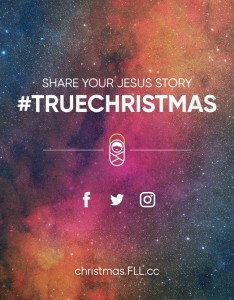 The #TrueChristmas campaign strives to unite brothers and sisters in Christ through social media. It is meant to witness to the Christian spiritual life, and to be an encouragement for the whole world to live a more reverent and meaningful Christmas. By posting and sharing how you are living as a Christian, you inspire others to do the same. Together, we hope to witness to the world the joy and peace of Christ, the God who came into the world as a fragile little baby out of love for us. For more information on how to participate, please visit our website http://christmas.fll.cc/.